Sunbrella® Awning Fabric - Burgundy/Black/White - 4798-0000 - is a solution dyed acrylic from Glen Raven Sunbrella® Shade Collection. This fabric is 46 wide and has the stripes running down the length of the fabric. Sunbrella® Shade is stiffer than Sunbrella® Upholstery fabrics but still soft to the touch. 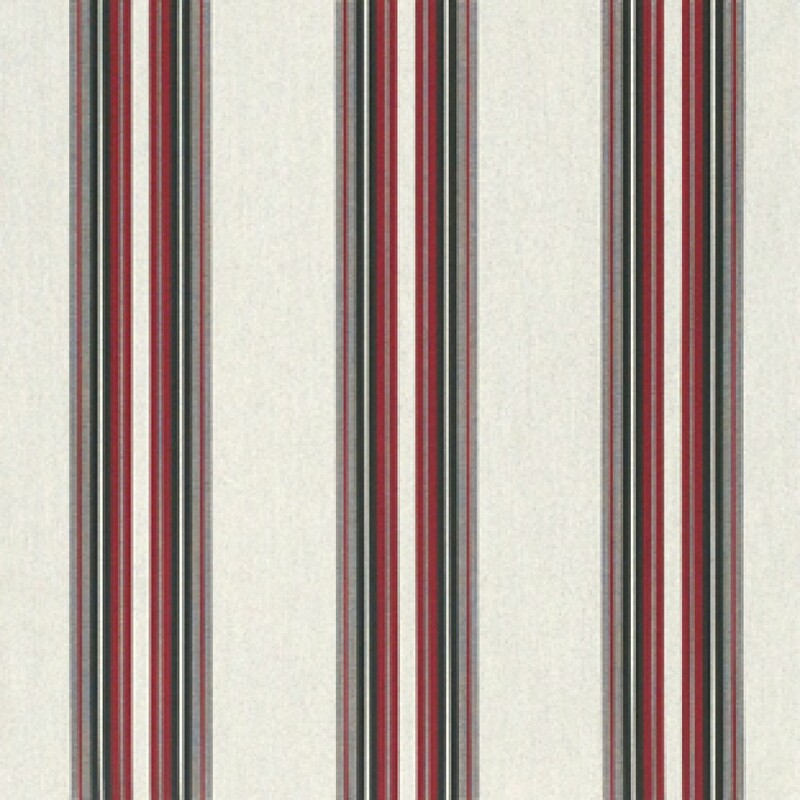 The multicolored stripes in this fabric makes it easy to coordinate with many other Sunbrella® Fabrics. Sunbrella® fabric can block 75 percent of the heat from the sun when used as awnings and reduce the temperature in a room up to 15 degrees. The air beneath the awning fabric is 22% cooler than the air under coated awnings per laboratory tests. Condensation is never a problem due to the breathability of the fabric. Savings up to 25 percent may be realized on a residential cooling bill after the installation of Sunbrella® awning fabric. Weight: 11.50 ounces per Linear Yard, 9.00 ounces per square yard.